In The Kitchen With Boundary Road: Local Farm Fresh Ingredients Featured In New Spring Menu | Exploring Food & Drink in D.C. I had a bad day at work. One of those days that knocks the wind right out of you and leaves you on the ground. I was grumpy, I was hungry, I was angry (in a word, I was hangry), however, all of those emotions quickly faded when I entered into Boundary Road. The ambiance is quaint and homey, funky little nick-knacks line the wall and your eyes naturally drift up toward the amazing mattress wire-frame light fixture that hangs from the ceiling. 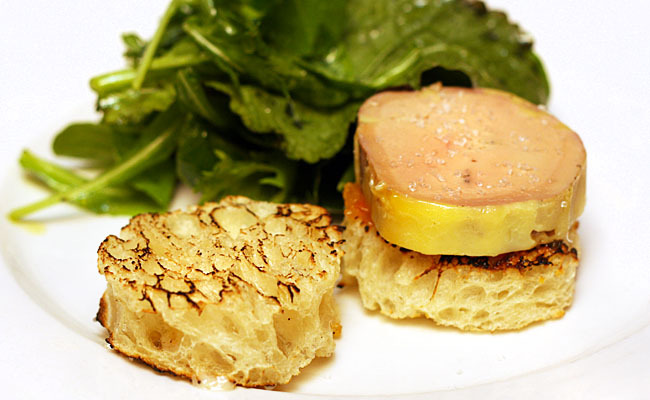 Boundary Road is extremely focused on local fresh foods, which is apparent in its ever changing menu. Not only do most of the foods change, so do the drinks. However a standard, classic drink at Boundary Road is “I’m Thinking About Getting a Vespa”, a fruity mix of Cocchi Americano, blood orange, lemon , sparking wine, and Perychaud’s bitter. Do not be deceived by its pinkish color, because this drink has a kick to it. Also, do not be fooled by the Grandpa’s Candy cocktail name, as I mistakenly did expecting it to be sweet. This concoction is mixed with Laird’s apple jack, Cocchi Americano, root liqueur, and orange bitters. Essentially, it is your grandpa’s take on a classic Manhattan. If you are not in the mood for cocktails, do not expect to see your typical pinot grigio and chardonnay on the wine list. Boundary Road’s list of beers and wines are not the traditional ones, so for the adventurous this is a perfect place to try something you have never tried before. The menu is as bold as the drink list. The Dandelion Greens, Apple, and Blue Cheese Salad (with arugula, celeriac, marcona almonds, and balsamic vinaigrette) is a fabulous combination of tangy and sweet. True to Boundary Road standards, the greens are extremely fresh and crisp, which makes this salad an excellent way to start off a meal. The same can be said for the Quark and Black Pepper Perogis, stuffed with cheese and somehow my version of heaven in a dish. 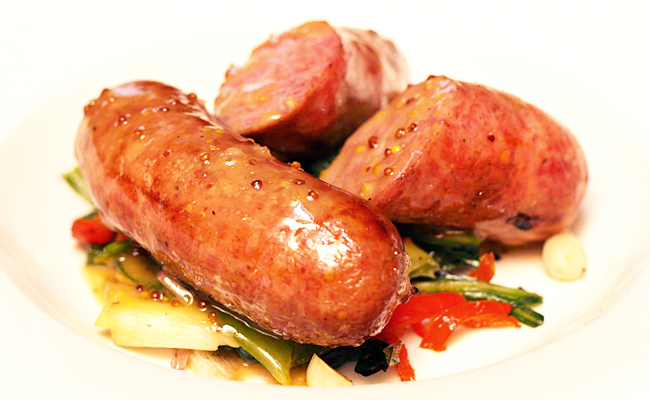 Moving on to the not to be forgotten Boundary Road Sausage and Peppers (house made jagerwurst, grilled ramps and spring onions), it is a meal packed with flavor and comfort. Oh, did I mention that these dishes are only the appetizers? The main menu is limited, but the executive chef and owner, Brad Walker, makes it clear with his execution that these dishes mean business. 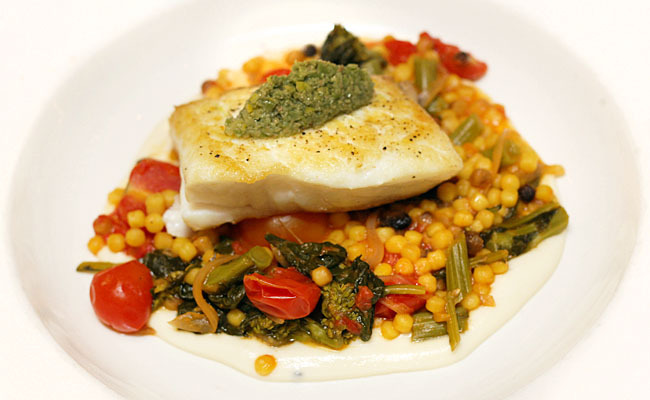 The Wild Caught Alaskan Halibut (with saffron-stewed fregola, castelvatrano tapendade, and chopped celery root) is not only visually an array of color and beauty, it is also a fabulous combination of zesty, fresh, and mouth-watering. In the spirit of spring, one should also try the the It’s Legitimately Spring Farro Risotto (with ramps, mushrooms, peas, rainbow carrots, mint, and locally grown goat cheese). 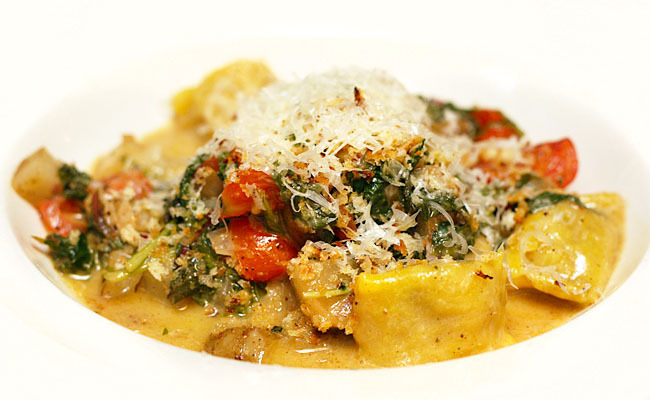 It is creamy and smooth without being overly cloying as many of these creamier dishes tend to be. 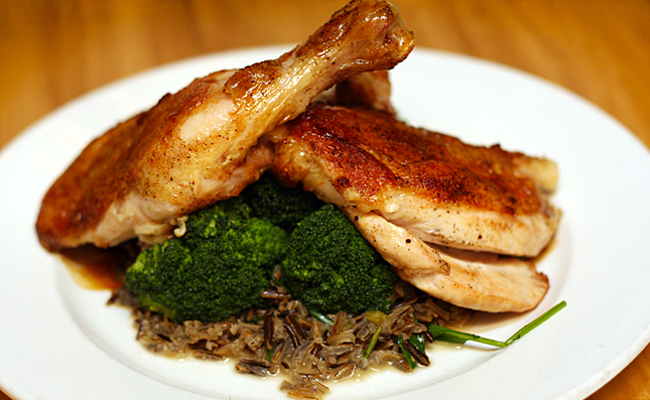 Lastly, the Brick Chicken is a hearty meal with wild rice pilaf and broccoli that is sautéed in anchovy butter. The chicken is tender but crispy, and paired with the phenomenal rice pilaf, this is a dish that any meat lover would, well, love. Craving some late night food? Well this place does that too. After the kitchen closes, they take the charcuterie, pile it all up and turn it into sandwiches. 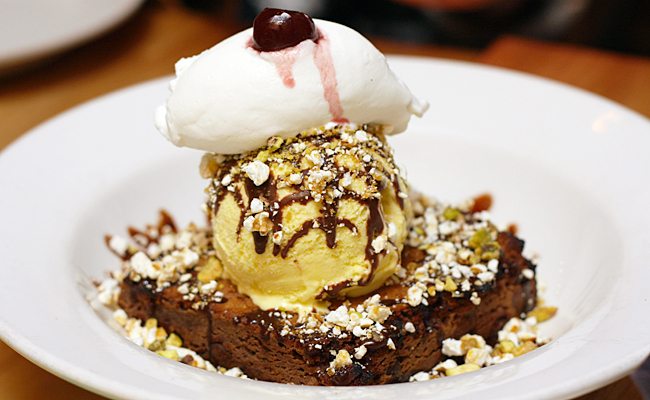 Yes, you heard that right, and yes, you are drooling. Happy hour runs from 5 to 7 pm on weekdays and features 2 rotating drafts for $5, a rotating red and white wine for $7 and a mini version of “Im Thinking About Getting A Vespa” for $6. Overall, I cannot wait to make this place my new go-to spot, with its homey atmosphere, and ever changing menu, it is no wonder why President Obama with a group dropped in for dinner within its first month. This restaurant has the perfect mix of comfort foods like perogis and fries to more upscale dining like Grilled Veal Sweetbreads, it is a place where everyone can find something that they will enjoy. Hi I'm Honorata! I'm originally from outside Philadelphia, but have since moved down to the Washington D.C. area and have been slowly eating my way through this fantastic city. 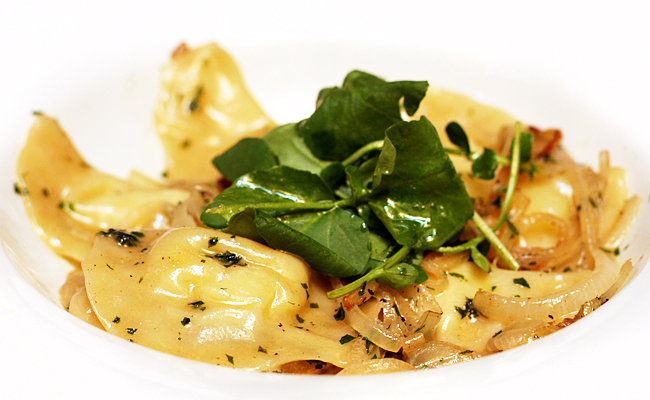 Although an avid cheese lover, I am open to trying all sorts of flavors and cuisines. Outside of eating, I love swimming, hiking, and getting sucked into Law & Order: SVU marathons. 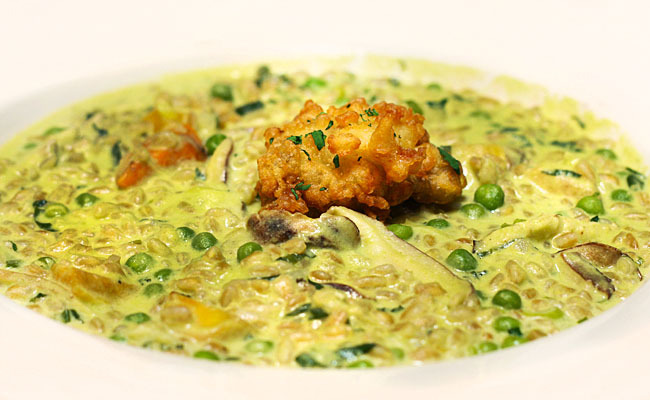 I truly believe in Julia Child's words that "people who love to eat are always the best people" and here at EpicureanDC we are trying to connect other food lovers to great food! 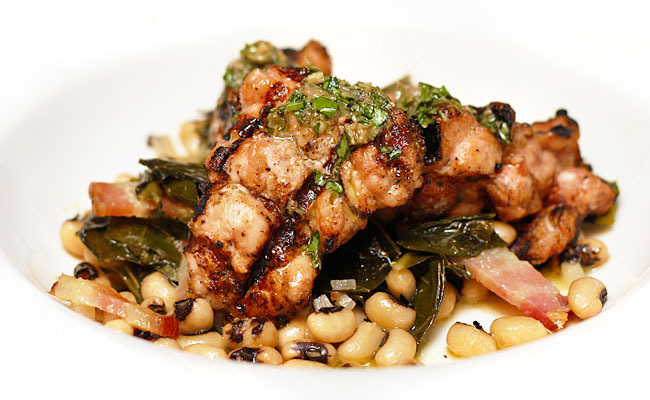 Tags: Boundary Road, Brad Walker, Fresh, H Street NE, Local Ingredients, Washington D.C.. Bookmark the permalink. Wow, everything looks absolutely mouth watering!! I need to get there someday! Oh wow, everything looks and sounds scrumptious. I would love to visit this place! The dandelion salad sounds wonderful! Wow! This sounds completely amazing! I live in the middle of no-where and I am getting so bored with the lack of go-to food options. I’d love to visit them, hopefully soon! 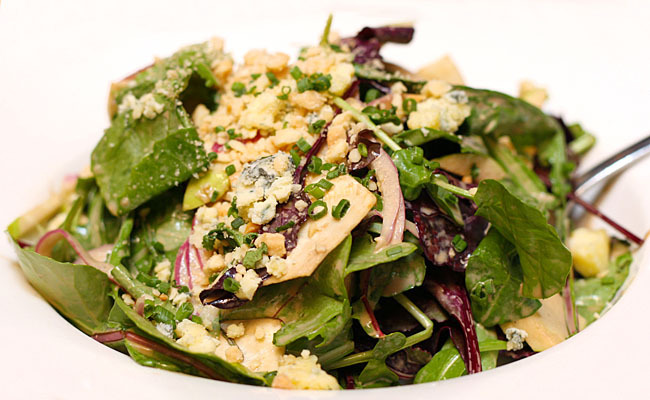 The Dandelion Greens, Apple, and Blue Cheese Salad sounds incredible! Sounds Like A Great Restaurant Would Love To Try The Veal! Yummy! Everything looks so good! I would love to try any of these! Everything looks and sounds delicious. That salad with the Dandelion Greens is probably amazing! Oh my goodness! Jagerwurst! I seldom have it but when I find it, it’s always a winner! So glad I already ate dinner because these look awesome. Everything looks and sounds delicious! I’d love to be able to try that. Big pierogi at the top of the screen? I’ll be checking back here often! That’s my kind of food. This sounds yummy and very high end! I love finding places that work with fresh local food. This looks like an awesome place to eat. Love finding restaurants like this! Such hidden treasures! I sure like what I’m hearing about on this menu. I hope to get to taste this menu on my next D.C. visit! Wow! I sure hope they are as good as the pictures. They really made my mouth water! Wow. This food looks amazing. My mouth is watering just looking at it. I would definitely try this place when in DC next. I am definitely familiar with being “hangry”! This place sounds like the perfect solution especially if you are looking for some different flavor combinations for your palate. I’m all in for “I’m thinking about getting a Vespa”!